Observation - Birch Polypore - (Piptoporus Betulinus) - UK and Ireland. Description: I think this is Birch Polypore they were found in Crynant, Sounth Wales, growing on silver birch. 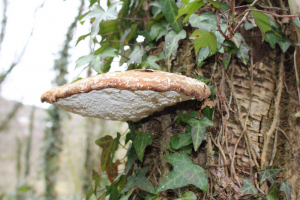 I think this is Birch Polypore they were found in Crynant, Sounth Wales, growing on silver birch.